Michelle has recently relocated to Darwin from Queensland with her family. 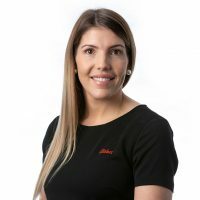 Michelle first started her Real Estate career in Queensland, now with over 6 years of experience in the Industry. Passionate about Property Management and customer service, and is driven to provide the best service and leasing solutions to our valued investors. Priding herself in her attention to detail, exceptional organisational & communication skills and is committed to delivering an outstanding professional service to all of her clients. Michelle is willing to go the extra mile to achieve the best results possible. Would you like to speak to Michelle? If you’re thinking about renting or selling your property and you’d like a clearer picture of how much your property might be worth or want to have an informal chat about general property market trading conditions, Michelle will be happy to arrange a full market appraisal of your property.